Always on October 14, National Dessert Day is just calling for us to start with dessert first. Then order that salad for lunch or dinner! Celebrate National Dessert Day today. For just one day, forget about the calories and high fat content and worthless carbs in many (okay,ALL) desserts. Tomorrow you can go back to your diet. 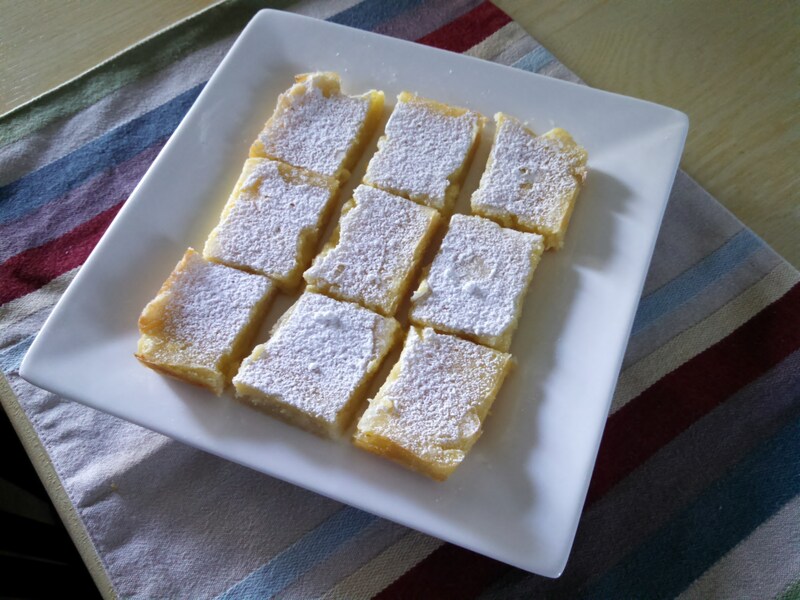 Yummy Lemon Squares dusted with sugar…fresh from the oven! It’s easy to enjoy this wonderful and frivolous holiday. You can make your own desserts, buy them at the store, or go out to a restaurant and enjoy a dessert, or two. Make sure to have dessert with family or friends. It’s even more fun that way. How about having dessert at every meal today! ?